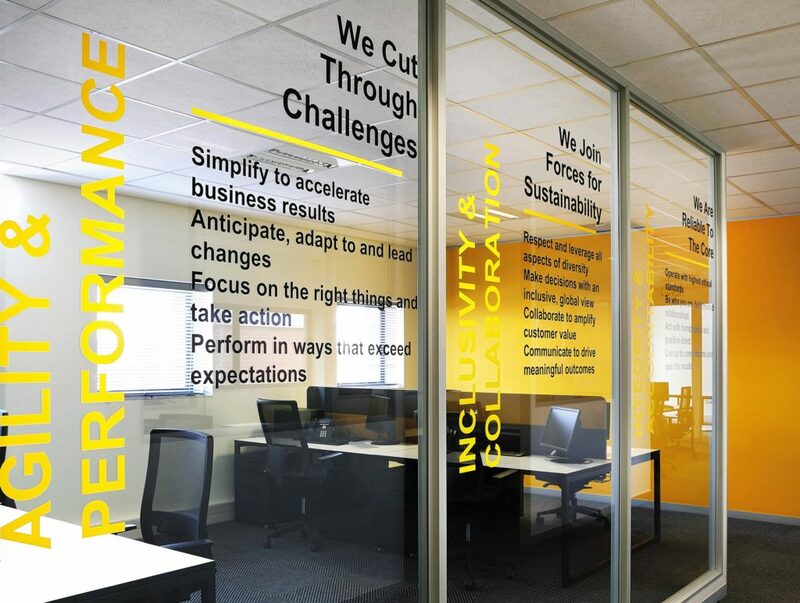 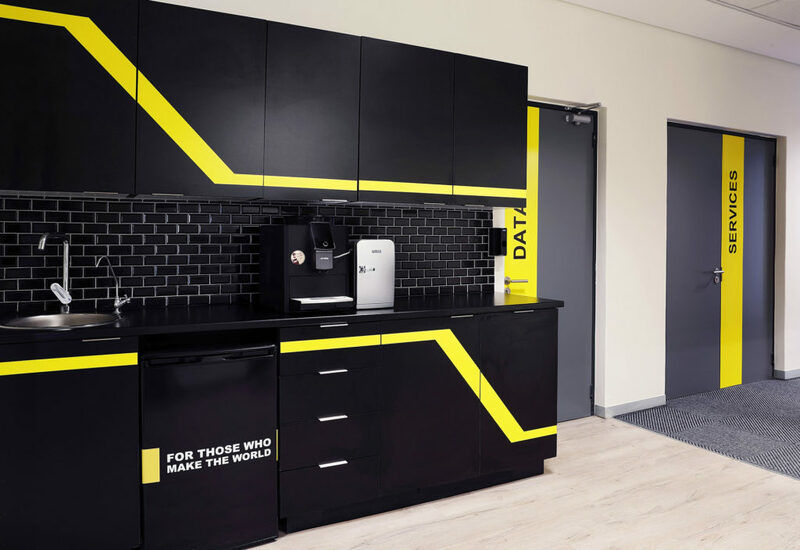 Designers Tétris provided Stanley Black & Decker with a simple yet bold office design, where the distinct yellow of the brand is balanced with shades of grey and black. 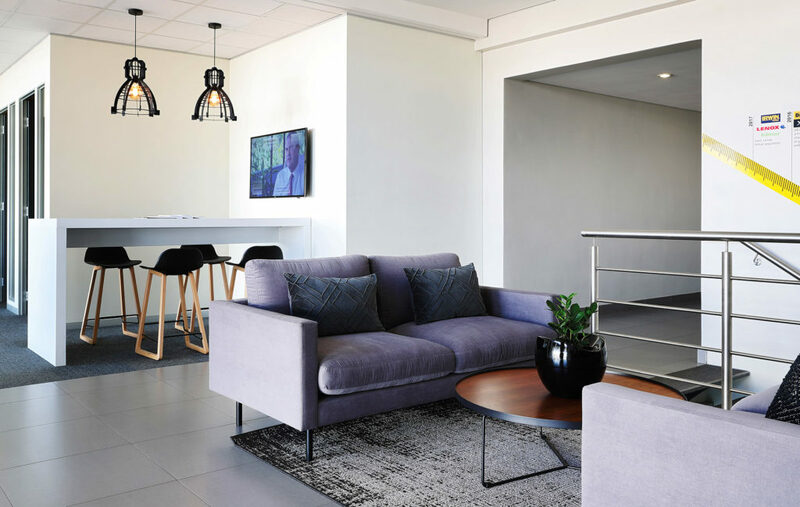 The brief was to execute an end-to-end solution, from workplace strategy and space planning, to design and furniture selection, as well as procurement. 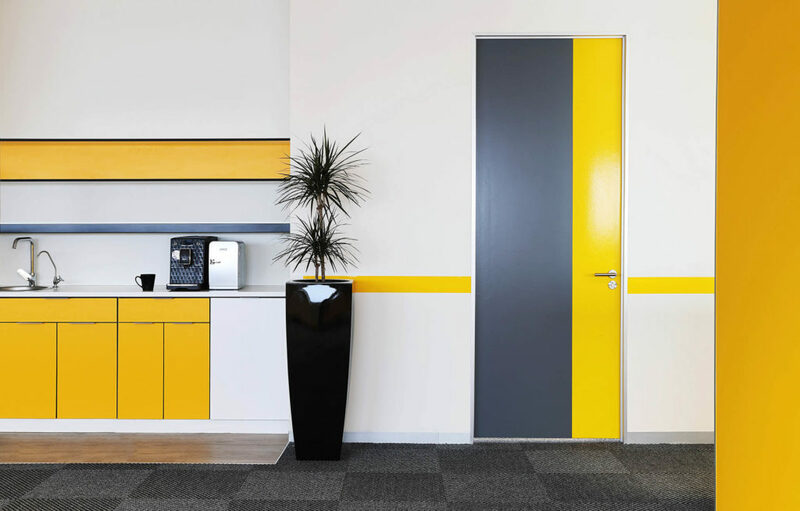 The office was sectioned into a variety of different spaces to ensure that employees’ needs were met, allowing for opportunities to interact with colleagues, collaborate in team zones, or retreat to a phone booth for a private call. 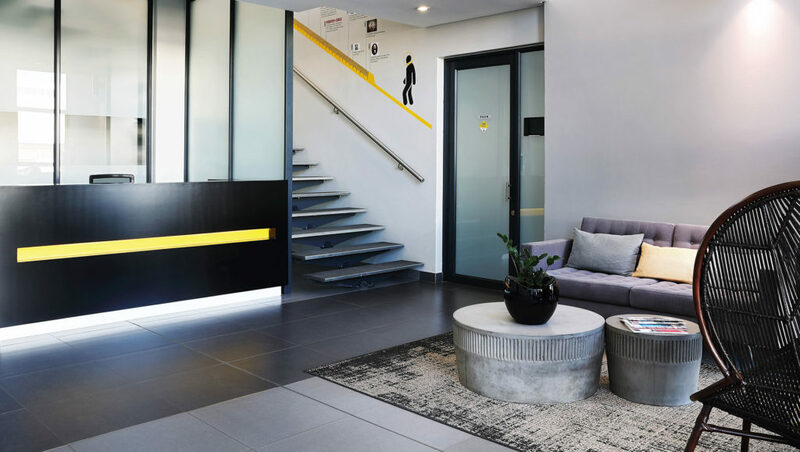 The furniture pieces in the workspaces, phone booths, meeting and breakout areas were kept white, black and grey with hints of yellow, while the flooring has yellow and black triangles incorporated to add a fun element. 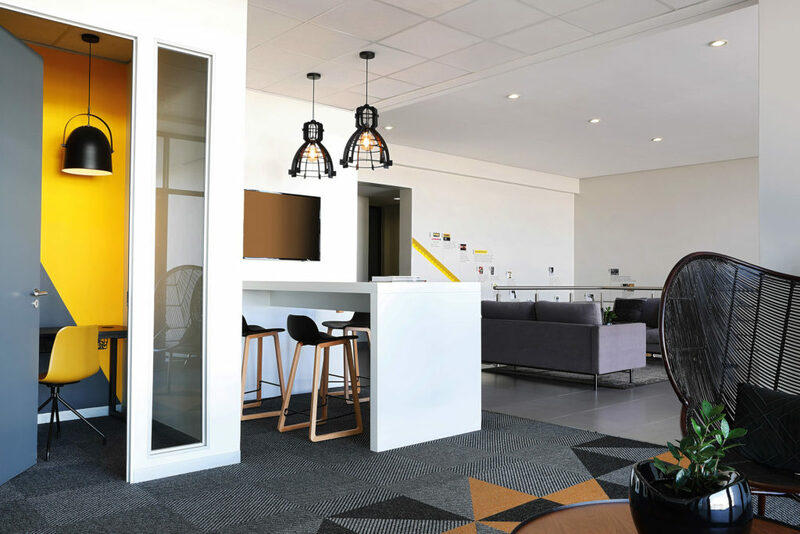 The open plan desking continued the strong colour theme with white laminate tops on black frames offering a slick minimalist base. 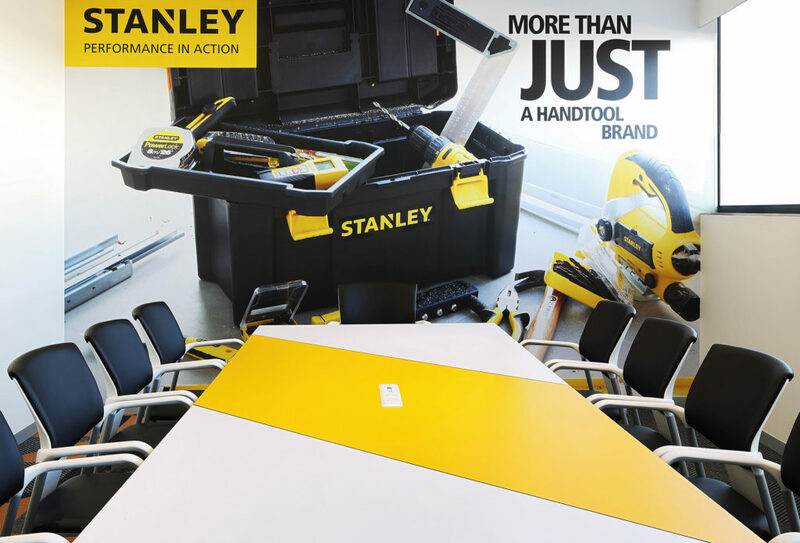 The meeting tables also included a strong diagonal yellow band (achieved by attaching three separate laminated tops to a single base). 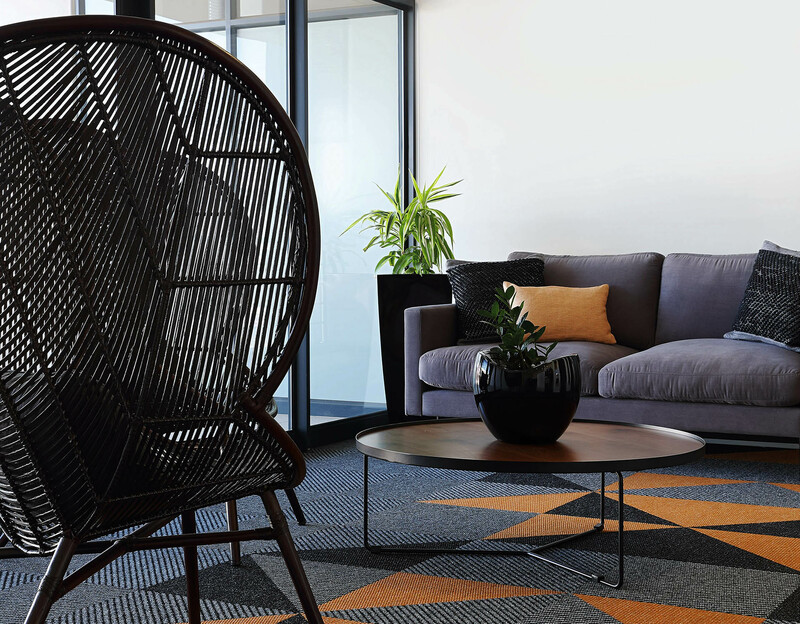 Upholstered screens were installed, which were both functional in terms of offering privacy, and simultaneously helped with the acoustics. 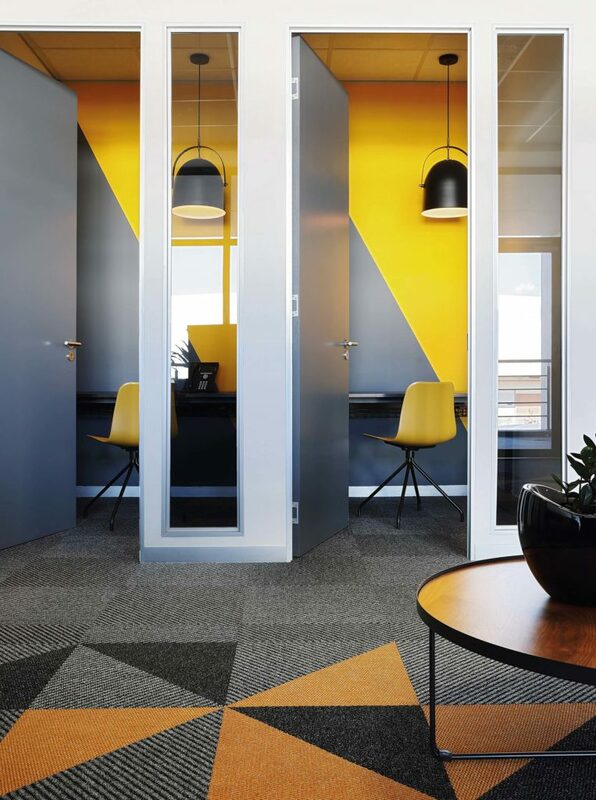 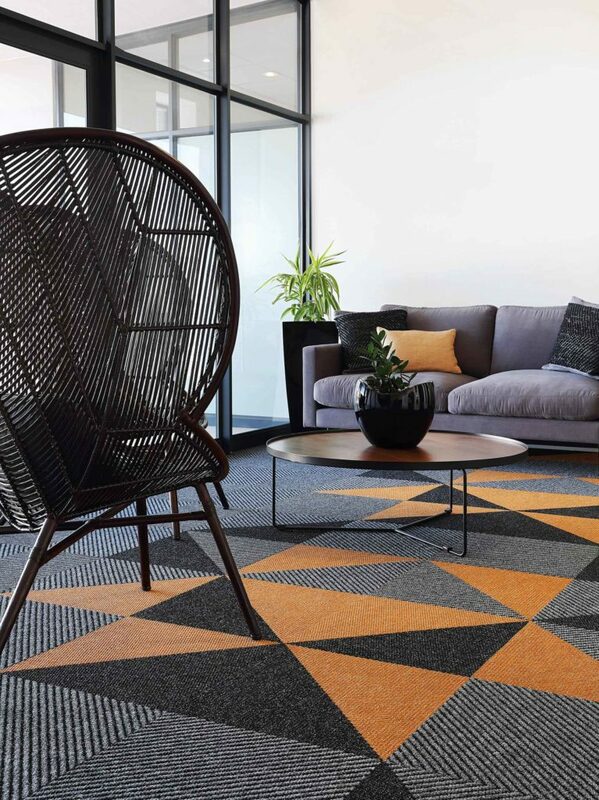 A needlepunch carpet in strong colours created a highly patterned space, and the patterns were incorporated into the vertical surfaces via wall art paint. 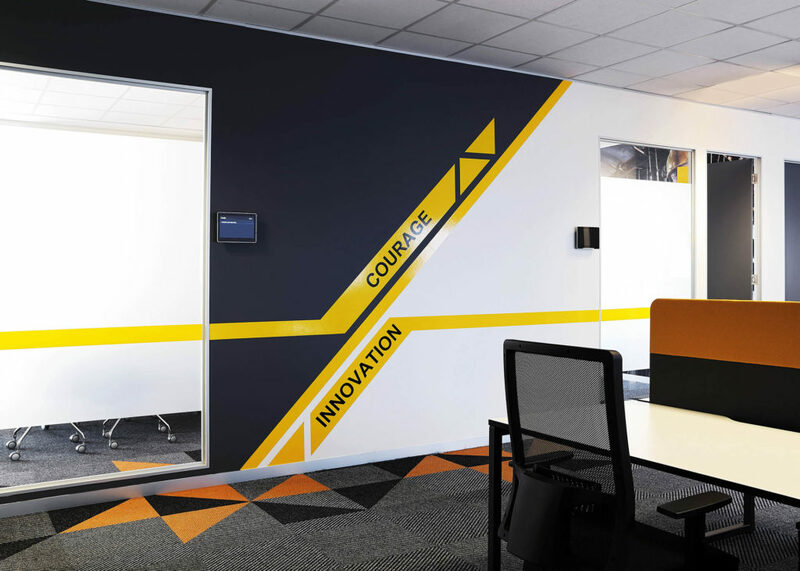 Vinyl graphics were applied on both painted and glass surfaces, to expand on the colourful features and showcase the company’s history.